The Cellular jail situated in Port Blair, Andaman Islands is closely associated with the freedom struggle of India.Today, the Cellular Jail is declared as the National Memorial, a tribute to those who dared to raise their voices against the British rule. 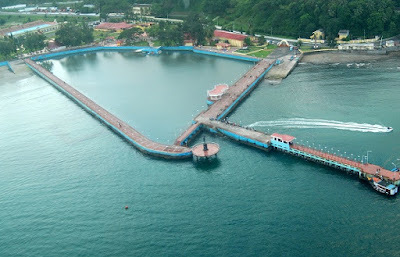 Andaman Water Sports Complex offers all kinds of water sports facilities: Sail boats, para sailing, water scooters, rowing boats, kayaks, paddle boats, water skiing facilities etc.,. Boating from this complex up to the Ross Island is really an exciting experience. Gandhi Park is a blend of natural brilliance, artificial creations and historical monuments. Gandhi Park has artificially but well maintained gardens, restaurants and a lake.Gandhi Park has facilities like Children's park, amusement park, water sports, nature trail, lake, garden, restaurant etc.Gandhi Park has Deer and Bird park. Gandhi Park has immense historical significance as it has a Japanese temple and a bunker, both built by the Japanese during the second World War. 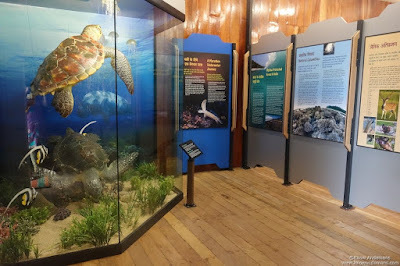 The Forest Museum located at Haddo offers an insight into forest activities in the Andaman & Nicobar Islands through models. 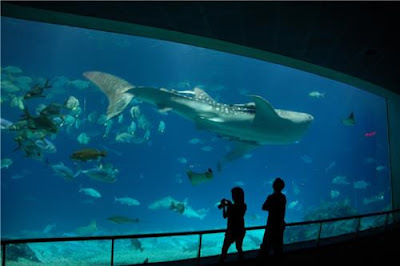 Mini Zoo is a small Zoological park situated at Haddo in Port Blair, Andaman and Nicobar Islands. 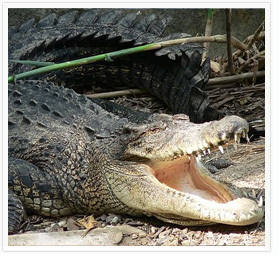 The Zoo is famous for its Crocodile breeding farm. The Zoo has about 200 species of birds and animals. Samudrika Museum is run by the Indian Navy. 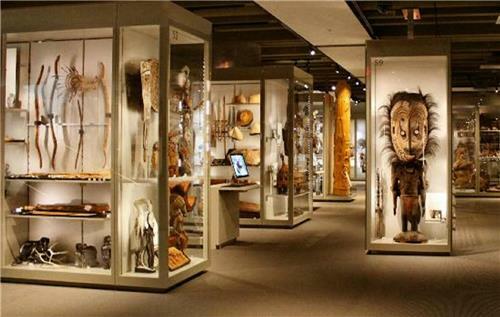 The Museum has 5 sections: history of the islands, their geography, people, marine life and archaeology. 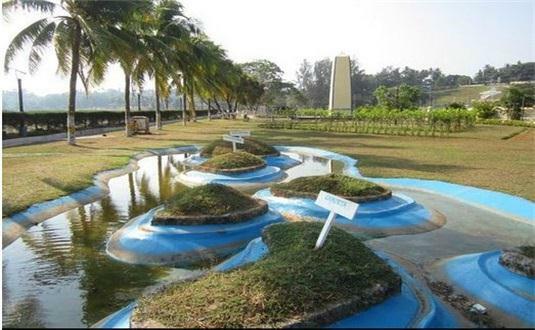 Located on the seashore facing the Ross Island is the Marina park. The Marina Park offers rides for children and adults: giant wheels, paratrooper and dragon coaster and toy train. 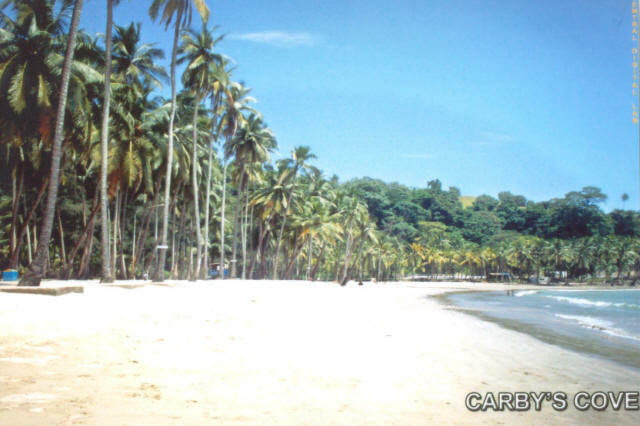 The Corbyn’s Cove, is a serene and unspoiled soft sandy beach, set in picturesque background of lush green coconut palms and pleasant blue sea. The main attractions of this beach are the inviting water sports activities like surfing, scuba diving and boating. The Fisheries Museum houses more than 300 marine species of marine life, including live coral, sharks, polyps and Starfish. 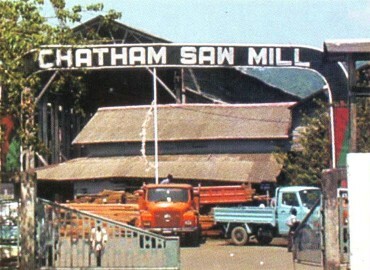 Chatham Saw Mill, once Asia’s largest Saw Mill is located in Chatham Island & is connected to Port Blair by a Sea bridge. Since the Supreme Court of India banned logging in Andaman & Nicobar Islands, most of the wood now comes by ship from Malaysia, Myanmar and Thailand. Mount Harriet was once the summer headquarters of the Chief Commissioner during the British Raj. Mount Harriet, the highest point in Port Blair is an ideal place for a Picnic or a Trek. 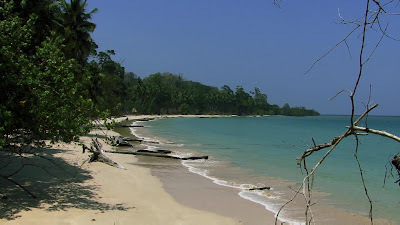 Viper Island is located near Port Blair. 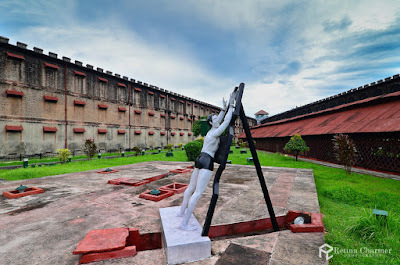 Infamous for convicts who were jailed here, the gallows atop its hillocks was where criminals and revolutionaries were housed before the commissioning of the Cellular Jail. 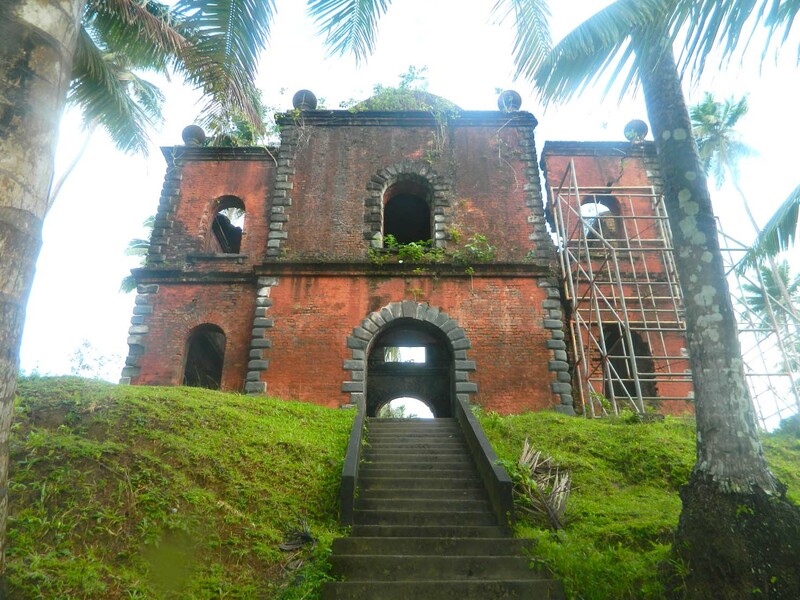 The ruins of the discarded jail, built by British in 1867, can be still seen in this Island. 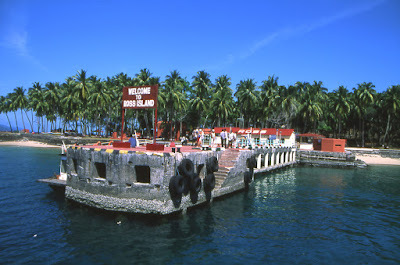 The Ross Island is a 20-minute boat ride from Aberdeen Jetty in Port Blair. 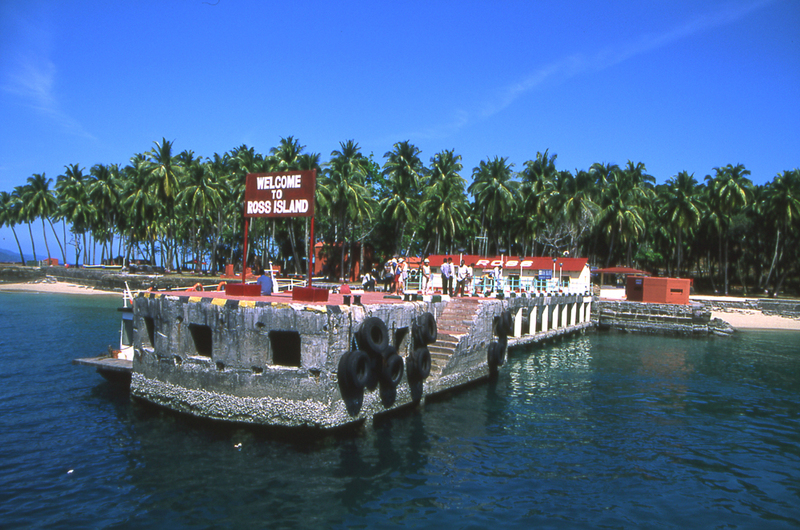 Ross Island, the capital of Andaman & Nicobar Islands during the British Raj days, now stands guard to the Port Blair harbour. 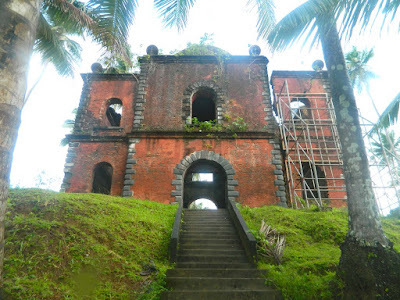 There are historical ruins along the beach and a beautiful tropical forest. The Mahatma Gandhi Marine National Park near Wandoor is rich in corals, varieties of coloured fishes, sea turtles etc., besides other marine life. Mahatma Gandhi Marine National Park is a bird's paradise having more than 271 varieties of birds including, 39 that are endemic. The forest guesthouse at Chidiyatapu provides a fabulous view of the isolated islands & breath-taking sunset. Cinque Island is one of the best diving destination in Andaman & Nicobar Islands & has clear water with visibility levels of up to 80 feet. It is the best place to view a large variety of marine life and black corals. No body is allowed to stay overnight in Cinque Island. 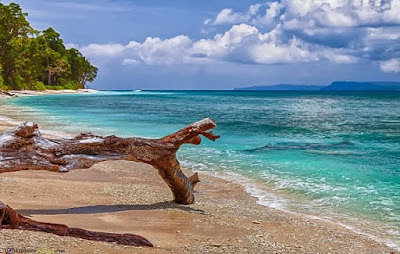 At Havelock Island, you can visit beaches of Radhanagar and Elephant beach. On Elephant beach, people can even watch training of elephants and elephants swimming in sea. 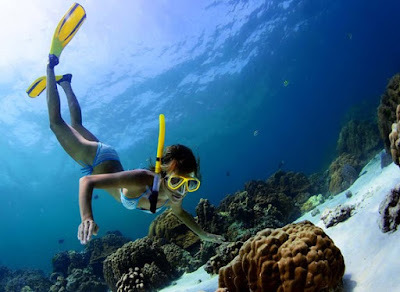 People can also explore other adventures activities like scuba diving, snorkeling and sight seeing etc. 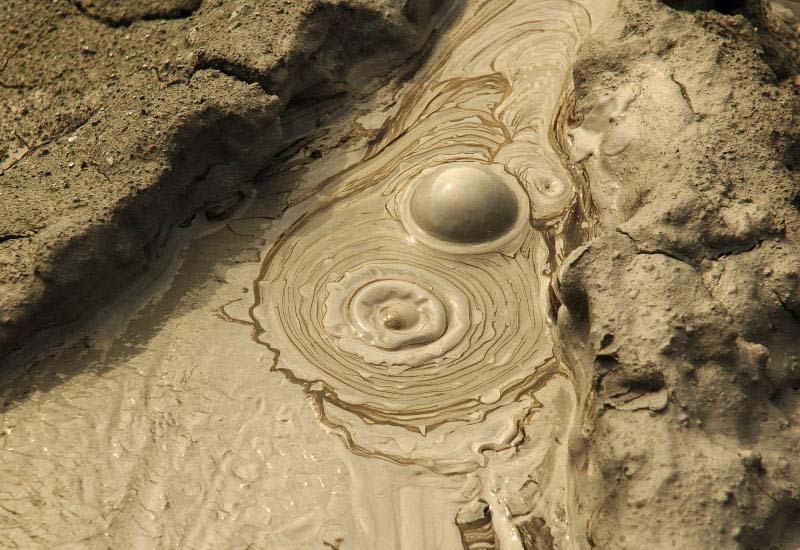 At Baratang you can see Mud Volcano which is about 4 km away from the boat jetty. 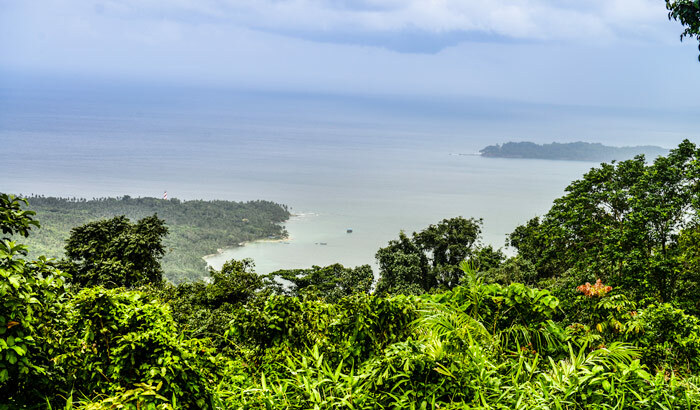 Limestone Caves are located about 50 minutes (by sea) away from Baratang boat jetty. The experience at Parrot Island at sunset, when all the parrots are returning home is indeed a mesmerizing experience. A marvelous Island with plenty of marine life, Neil Island is an ideal location for eco-tourism. Neil Island is also known as the vegetable bowl of Andamans. 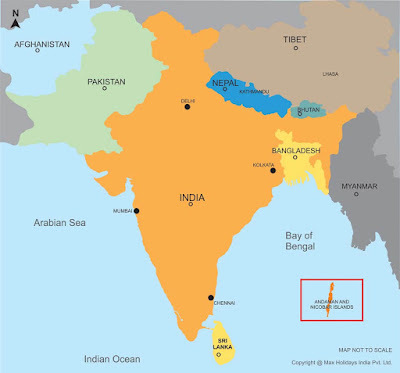 The sandy beaches at Sitapur, Bharatpur and Lakshmanpur are very attractive for spending the evenings. Long Island offers an excellent sandy beach at Lalaji Bay with unpolluted environment and evergreen forests.